Recently I’ve been implementing SSL on my domains and have been streamlining and updating some projects along the way. 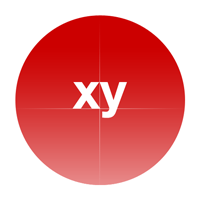 Consolidating properties is a great way to simplify workflow and boost productivity, so I’ve went ahead and moved xyCSS from its own domain, xy.css, to its new home here at Perishable Press. In the process of moving the site, I took the time to tighten up a few details and re-test everything for proper functionality. Much to my delight, the responsive liquid matrix remains as accurate in 2015 as it was back in 2011 when I first put it together. The xy (horizontal/vertical) grid maintains its integrity, depsite everything that’s changed in the past four or five years. Check out some demos and see for yourself. It’s just a warm fuzzy feeling. One less installation of WordPress to manage, update, etc. Converting the WP-powered site to HTML took about 7 hours, and let me tell you it is worth it. Even before, when xyCSS was on its own domain, run with WordPress and NO plugins, it was decently fast. But now, as a static set of HTML pages, it is blazing fast. Plus the smaller footprint frees up more resources on the server, which is always a good thing. How are you coping with the 301 SEO? Is there any significant impact on traffic at xycss? I see that the website is still indexed in the Google. Did you notify Google (through webmaster) the new location? Just put a 301 redirect in the root of xy.css and a few 301 redirects here locally (because I changed some of the original directory structure). I don’t measure traffic or do webmaster tools stuff for smaller projects like xy.css, so can’t tell you one way or another in that regard. Glad to hear it’s still indexed by Google though.